In a large mixing bowl, combine 1 1¾ C flour, baking powder, ⅓ C sugar and salt. In another mixing bowl, combine the egg, milk, melted butter. Add the mixture to the flour mixture and stir with a spoon. Add the yogurt and mix well. The mixture will be thick and lumpy. In a smaller mixing bowl, combine ½ C all-purpose flour, ½ C white sugar and the lemon zest to make the topping. Cut in the butter until the mixture resembles crumbs. Put about ¼ C of the batter in each muffin cup. Top with the raspberries and then top with the topping. Bake at 375 for 20 minutes or until a toothpick inserted in the center of a muffin comes out clean. 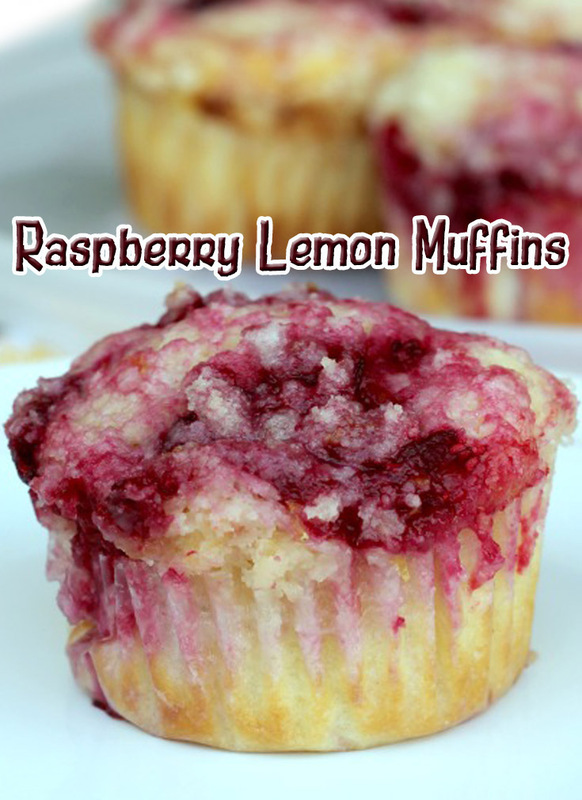 If using fresh raspberries, bake for 15 minutes and increase the time, if needed. Cool on a wire rack for 10-15 minutes before serving.